Epic’s Fortnite launch on Android has been nonstandard, to put it politely. 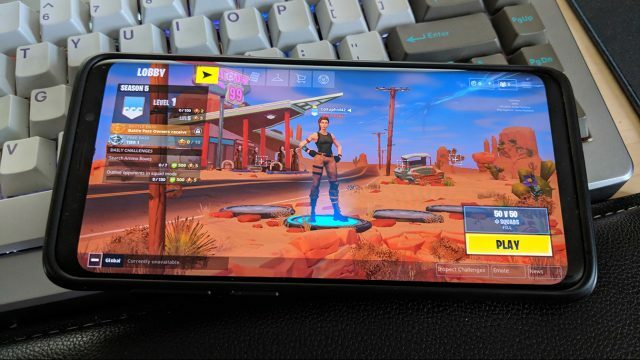 Instead of going the usual route of distributing the game via Google Play, Samsung and Epic announced that the game would be distributed via an APK and would initially only be available on certain Samsung models. While this is only a beta launch, keeping the device profile restricted so narrowly should have made it simpler for Epic to deliver an early game version with robust performance and graphics. Unfortunately, that’s not what happened here. According to Ars Technica’s Sam Machkovech, limiting itself to just Samsung devices “hasn’t made the game run smoothly in the slightest.” Android Central declares “I’ve been playing it almost non-stop from the moment it was made available in the Samsung Galaxy App Store, and this is my early review of the game having played it on a Samsung Galaxy S8” before noting: “Fortnite is fun, but not on Android.” Android Police states that the game is currently limited to those owning a Galaxy S7, S8, S9, Note 8, Note 9, Tab S3, or Tab S4, and that despite this restriction, the game’s frame rate simply cannot hold a steady 30fps, even on a device as new as the Galaxy Note 8+. We’ve invented a game that doesn’t NEED buttons. Meanwhile, certain decisions the game makes have drawn scorn from almost everyone. By default, the game has aim assist enabled and recommends using Auto Shoot, which means you’ll basically be letting Bixby play the game for you. That might be for the best, however, since the game apparently isn’t all that much fun in the first place, thanks to the constant performance drops. Fortnite, of course, is still in beta — but even a beta can be fairly graded when it’s a high-profile launch like this and when people are making decisions about where to spend their gaming hours. In this case, you’d be best served spending them pretty much anywhere else. Comparisons to that other Battle Royale shooter are common in all the beta coverage we’ve seen, and not one of them is particularly complimentary.